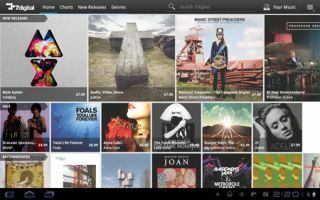 7digital launches Android 3.0 tablet app | What Hi-Fi? Owners of Android tablets can now download a dedicated app for 7digital, the music download service. The app gives access to 7digital's 16 million strong catalogue of MP3 tracks and albums. It allows users to browse, preview, purchase and download music at any time, anywhere directly to an Android tablet such as those made by Acer and Samsung. "This is a major addition to our mobile device offering, bringing high-quality digital music to Android tablet owners," says Ben Drury, CEO of 7digital. "The Android 3.0 OS has allowed us to create a highly interactive, visually rich app."